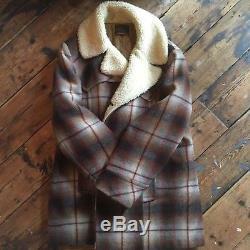 Much loved and well worn and looked after, vintage Pendleton. This gold lined heavy jacket is absolutely the warmest thing ever. 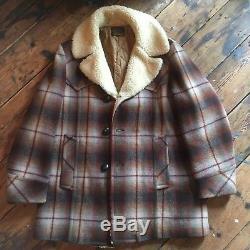 Worn thru snow storms as an over coat and all! 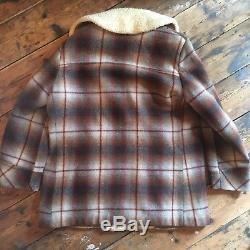 Its a longer style western jacket, so comes down over your hips. I have a collection of old Pendletons and Ive not seen one like this before. Era is late 60s early to mid 70s Id venture to guess. 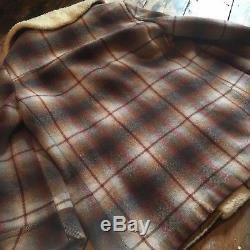 Amazing quality, Great shadow plaid pattern, no tears or rips or moth holes. 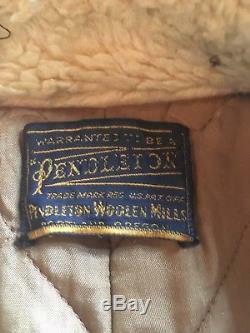 Only bit thats missing is a small stamped leather tag that said Pendleton that sat above the original blue Pendleton manufactures tag. Jacket has always been big on me, and I just dont wear it anymore because of that, hence the sale. I wear a size 42 jacket and Id say this is about a 46 if Id have to guess. The item "Vintage Pendleton, Shadow Plaid, Heavy Wool, Lined Jacket, Western Wear, Winter" is in sale since Tuesday, October 2, 2018. 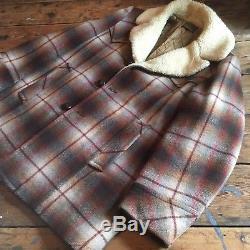 This item is in the category "Clothes, Shoes & Accessories\Vintage Clothing & Accessories\Men's Vintage Clothing\Coats & Jackets". 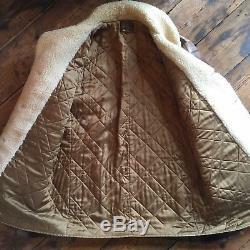 The seller is "fordillac331" and is located in London. This item can be shipped worldwide.